Science. Policy. Education. Outreach. Coastal. The impacts of climate change resulting from elevated levels of atmospheric carbon and manifested primarily through increasing global temperatures are affecting coastal and marine habitats and are anticipated to become more significant in the coming decades. Sea-level rise (SLR) and changes in ocean chemistry make coastal habitats among the most vulnerable. The National Park Service (NPS), managing almost 12,000 km of shoreline, has an urgent need to better understand, characterize, and forecast the effects of climate change for mitigation and management purposes. 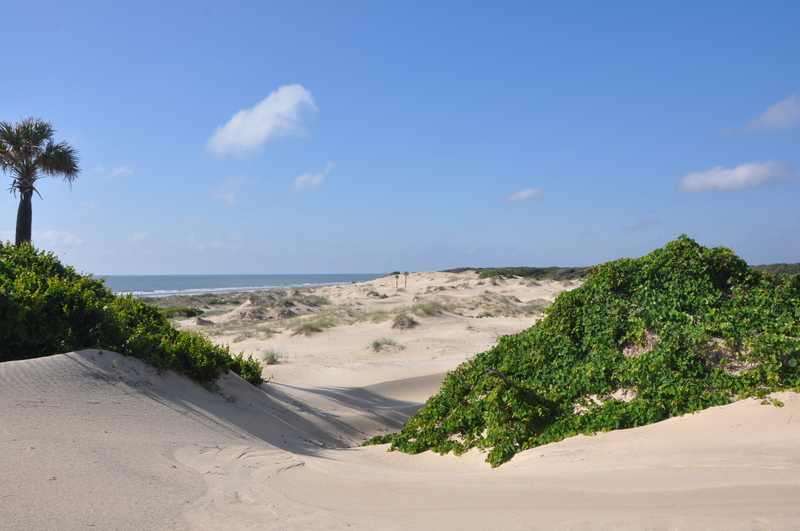 The goal of this project is to develop a methodology framework for assessing the vulnerability of NPS-managed marine habitats, beginning with a pilot project at Cumberland Island National Seashore (CUIS). This framework employs an assessment approach in which vulnerability is defined as the sum of exposure (the magnitude of the stressor), sensitivity (how strongly a system is affected by the stressor), and adaptive capacity (the potential to adjust in response to the stressor). Nine marine habitats within CUIS, including marine nearshore subtidal, intertidal beach, low salt marsh, salt flats, high fringing salt marsh, shellfish beds, tidal mud flats, tidal creeks, and estuarine nearshore subtidal, were identified, delineated and assessed for their vulnerability to four climate change-related stressors: SLR, temperature change, salinity change, and ocean acidification. For each habitat-stressor combination, exposure, sensitivity, and adaptive capacity were rated on a qualitative scale of low-medium-high. Results for combined stressor vulnerability at CUIS show SLR to be the most significant climate-related stressor and shellfish beds to be the most vulnerable habitat. This habitat is highly exposed to all stressors except ocean acidification, and is moderately sensitive to all four stressors. High fringing salt marsh (the narrow and sporadic zone between the expansive low salt marsh and the uplands) is also among the most vulnerable habitats at CUIS due to its high sensitivity to SLR, small area coverage, and reduced adaptive capacity from decreased migration potential. Changes in salinity and sea level would likely reduce the overall suitability for the growth of high fringing salt marsh species (i.e., Juncus roemerianus) as well as increase competition, particularly with the ubiquitous low marsh species Spartina alterniflora. In addition to climate change-related stressors, non-climate stressors were also considered. The primary non-climate stressors impacting CUIS marine habitats include feral horses, erosional impacts of boat wakes, and water quality degradation resulting from development and upstream contamination. This vulnerability assessment serves as a foundation upon which effective strategies for managing CUIS marine resources and habitats vulnerable to both climate and non-climate stressors can be developed and implemented.